simple water level alarm circuit that will produce an audible alarm when the water level reaches a preset level. 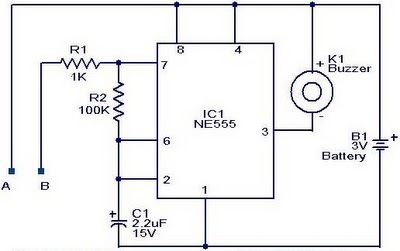 this circuit can be powered of 3v battery and easy to use. probes A and B can be made of two insulated copper wires.